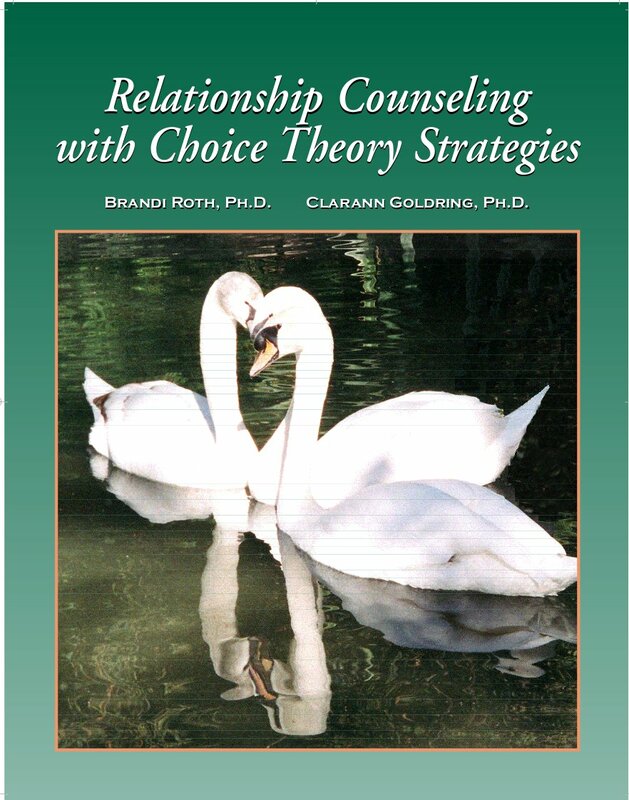 Psychologists, Brandi Roth, Ph.D. and Clarann Goldring, Ph.D. present tools and tips to guide couples and individual clients toward successful and happy connections using Choice Theory and Reality Therapy strategies. A problem solving framework provides steps to resolving dilemmas. The program interactively and experientially presents both theory and practical approaches. Participants learn to assess relationships and the levels of behaving, to understand the impact of past relationships on the present relationship and ways to self-evaluate. Techniques in Relationship Counseling With Choice Theory Strategies are provided for counselors working with the dynamics of relationship happiness. The activities will be valuable in teaching venues and for everyone using practical strategies for connecting and closeness in everyday life.